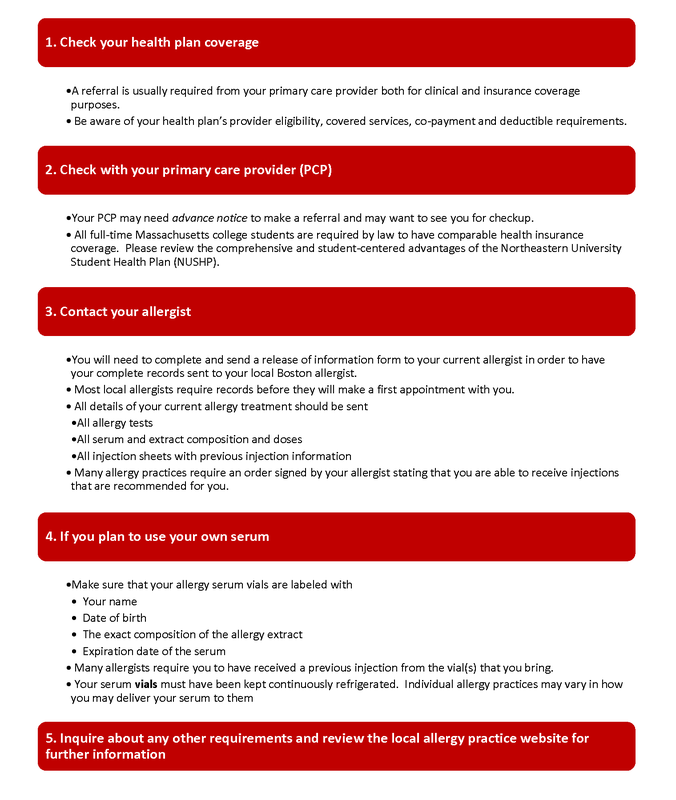 Northeastern University students may be assessed and treated for allergies at any of a number of local allergy clinics and practices. UHCS recommends that you begin the enrollment process now in order to allow time for the transition of your allergy care. The following allergy clinics and practices are available to serve you. Please click on the individual service for more information. Please call 1-866-489-4056 to register prior to your first appointment.